How to reload a Vend Gift Card – How can we help? Important: Reloadable Vend Gift Cards are only available for Vend on Mac or PC. 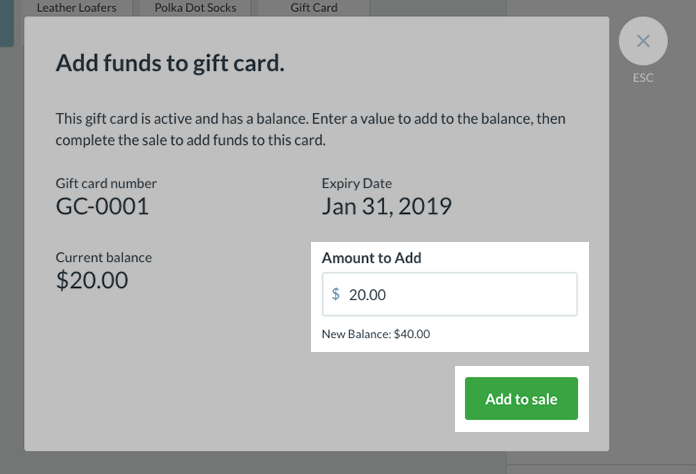 Reloading a Vend Gift Card allows you to add funds to an existing gift card so the gift card can be reused multiple times. To learn more on how to reload a Vend Gift Card, follow the steps below. 1. On the Sell Screen, add a Gift card to the sale. 2. A dialog box will pop up requesting you to enter the Gift Card Number. Once done, click Find Gift Card. 3. 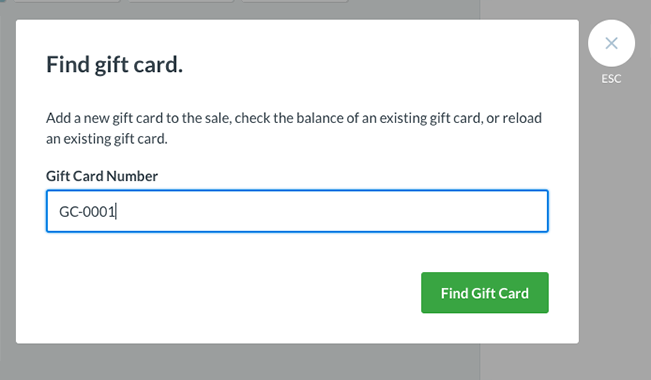 Another dialog box will display with the balance available on your gift card. 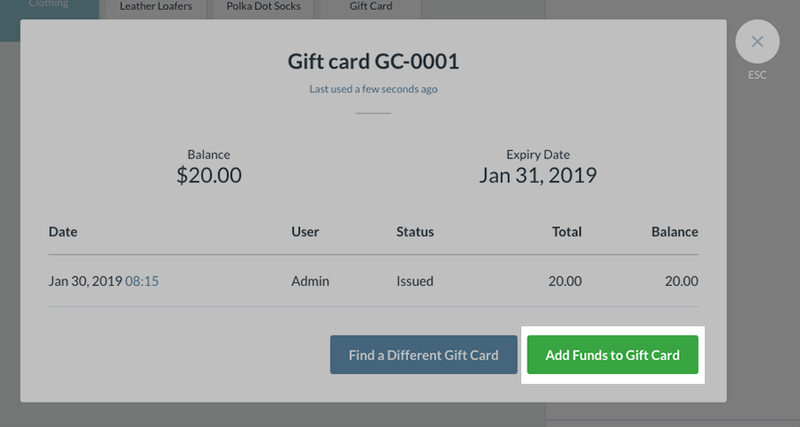 To reload the gift card, select Add Funds to Gift Card. 4. Add the amount you wish to reload to the Amount to Add box. Click Add to sale once done. This will add the Gift Card to the Sell Screen where you will be able to complete the sale. 5. Complete the sale to complete reloading the gift card. If you run out of funds on your gift card, mid-sale, you will be able to follow the steps above to reload your gift card. For more information on how to Redeem a Gift Card,click here.